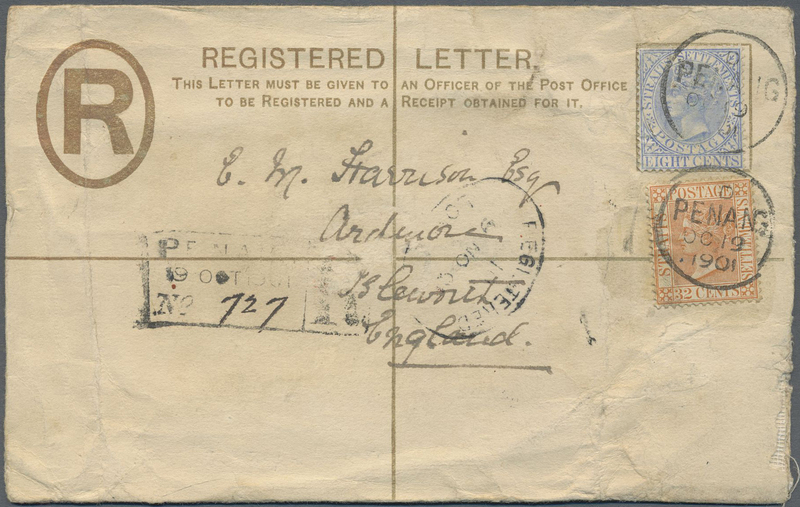 1901: Postal stationery registered envelope 5c. of Straits Settlements (H&G C-1a) used from Penang to England, uprated by Straits 1887 32c. orange-vermilion and 1894 8c. 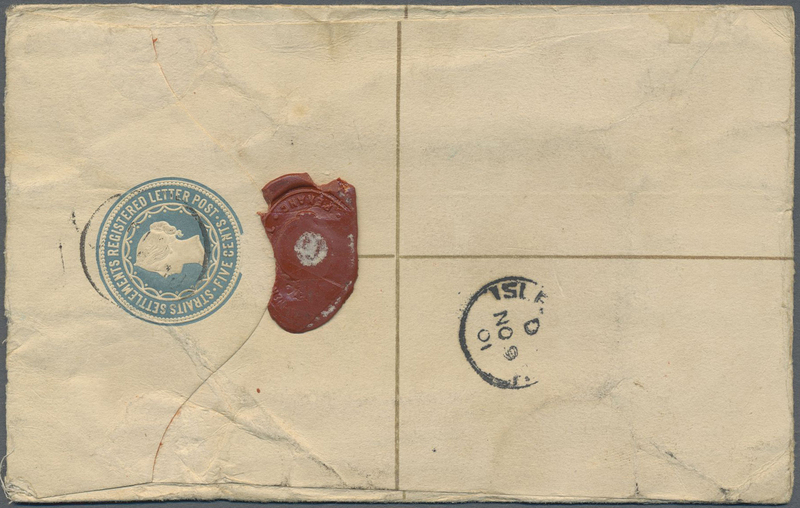 blue both tied by "D/PENANG/OC 19/1901" cds, with Penang Reg. cachet and London Reg. oval alongside, arrival cds on the reverse. Envelope creased but still attractive, and a scarce usage of the 32c. on cover.